Gift Shop at Elan Valley01597 810880workShop - GiftThe Elan Valley Visitor Centre gift shop has a wide range of gifts and souvenirs available, as well as a range of bicycles that are available to hire. Many of the items are themed around the Elan Valley and Wales. The shop sells a range of goods, including pottery, books, postcards, toys for children, confectionery and clothing. 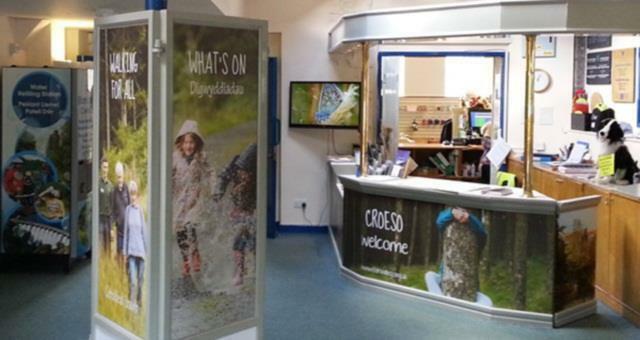 The Elan Valley Visitor Centre gift shop has a wide range of gifts and souvenirs available, as well as a range of bicycles that are available to hire. Many of the items are themed around the Elan Valley and Wales. Educational groups and coach parties are welcome in the Gift Shop. £2.00 car parking fee - covers you for all the car parks for the whole day. Season tickets are also available.